Founded by Joseph K. Stewart in 1977, Eastwood Homes is a privately held residential builder with consistent track record of industry success and financial health. After graduating from Appalachian State University and serving in the U.S. Army, it was Joe's dream to build reasonably priced homes of superior quality, while maintaining a focus on conducting business with integrity. Unlike national builders, he was determined never to be driven by Wall Street profits, but instead by his desire to exceed the expectation of buyers by delighting them in every step of the building process. 40 years later, Joe, his son and business partner Clark Stewart, and the entire management team at Eastwood Homes work together to carry on this dream. With corporate headquarters in Charlotte, NC, Eastwood Homes now serves communities throughout North Carolina, South Carolina, and Virginia. The company is proud to be both the builder of choice and employer of choice. Celebrating 40 years of industry success and commitment to our homebuyers, Eastwood continues to ensure that each and every home is "Built with Care." At Eastwood Home, Built with Care is more than just a slogan; it's what drives us every single day, and what makes a difference for our buyers. Driven by integrity and our core values, we build homes of exceptional value and outstanding craftsmanship while delivering unparalleled customer service. Our purpose is to ensure our Customers, Employees, and Trade Partners will recommend us with confidence, inspiring every homeowner to say "Eastwood Homes, That's My Builder." Eastwood Homes has experienced steady growth over their many years in the business. Expansions have been well-thought-out, stable, and calculated. 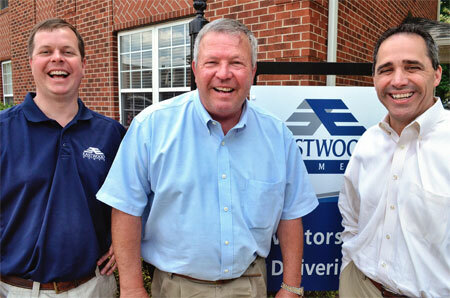 Since the owner and founder is a Carolina native, his personal knowledge of the region has aided in the successful expansion of Eastwood Homes. 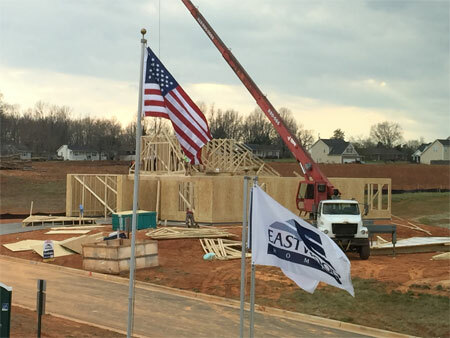 Each of the eight divisions of Eastwood Homes has a slightly different appeal, despite their relatively close proximity to the headquarters in Charlotte. Although you will find varying personalities across the regions, all divisions have the same mission – to build homes of exceptional value and outstanding craftsmanship while delivering unparalleled customer service. Activities in all divisions are still monitored by the founder himself, providing a true hometown appeal to all communities. In 2017, Eastwood Homes announced the acquisition of Fortress Homes, a privately-held builder headquartered in Columbia, SC. An industry-recognized leader in new home construction, Fortress Homes offers a broad range of products, move-in ready homes, and a state-of-the-art Design Studio (much like Eastwood). For now, Eastwood Homes plans to maintain the legacy Fortress Builders has created. Eventually, Fortress Homes will transition to the Eastwood Homes, Columbia SC division where Eastwood will continue its commitment to be a Builder of Integrity and ensure that each and every home is Built with Care. 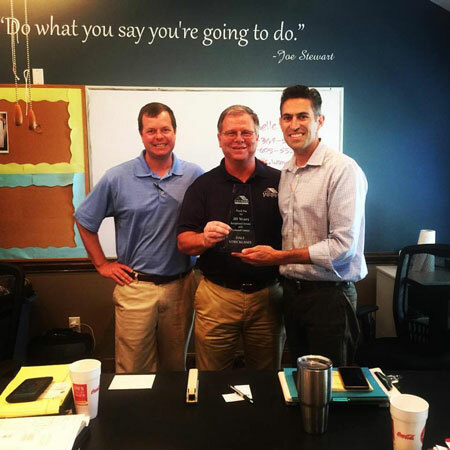 In the last 40 years, Eastwood Homes has become one of the top homebuilders in the Southeast. Here's our trophy case to prove it! Eastwood Homes continues to move up the ranks of the top 100 privately held companies in North Carolina by Grant Thornton, LLP, gaining 7 spots from 2017. Eastwood Homes holds the 29th position in 2018 after year-over-year steady increases. 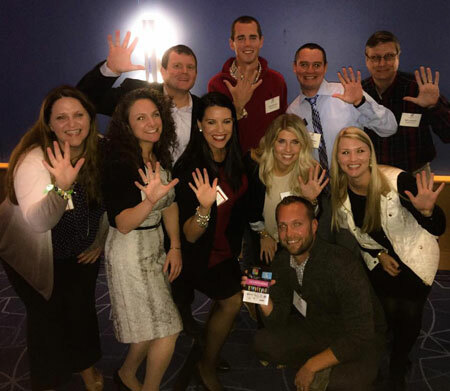 At the 2016 Charlotte Business Journal Best Places to Work, Eastwood Homes was recognized as the a Best Place to Work, ranking 5th out of 22 large companies in Charlotte. This is the 2nd year that Eastwood Homes was voted as a best place to work, thanks to the anonymous surveys that were completed by our employees! 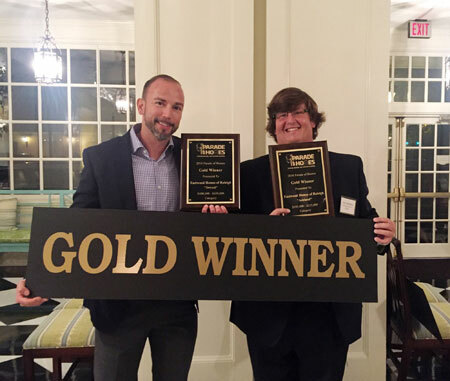 At the 2017 MAME Awards held in Charlotte, NC, Eastwood Homes was recognized with Best Community Outreach for the charity golf outing benefitting Levine Children's Hospital. Since the first outing in 2012, Eastwood Homes has raised more than $200,000 for the hospital. We could not be more grateful to support such a worthy organization! Eastwood is proud to have won the Design Center of the Year award 3 years in a row by the Charlotte Homebuilders Association. The State-of-the-Art Design Center is equipped with staged kitchens, bathrooms, lighting fixtures and more, to help buyers personalize their New Home! As a recipient of this exclusive award, Eastwood Homes is certified as one of the nation’s highest quality builders, having passed an extensive process that analyzes their experience, financial stability, construction quality, and customer service. The Master Craftsmanship Award puts Eastwood Homes in the top 1% of builders nationwide who provide customers with superior home warranty protection with American eWarranty. Highest Ranked Builder in Greenville Division for Design, Quality, and Customer Satisfaction. 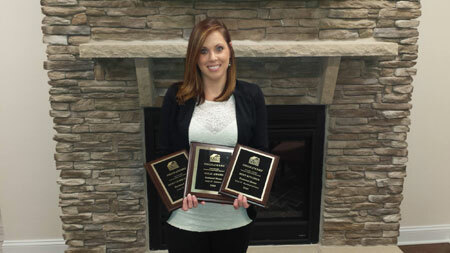 Highest Ranked Builder in Triad Division for Quality and Customer Satisfaction. Every two years the Builder of Integrity Award is given to the builder that not only exhibits technical excellence, ethical practice, and financial stability, but also demonstrates a commitment to excellence in customer service that has gone above and beyond the industry norm. In order to even qualify for the honor, a builder must show a customer problem ratio of less than 2%. 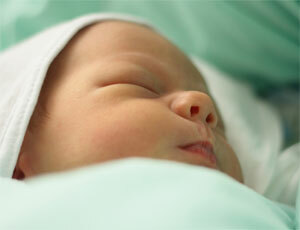 Eastwood Homes has a special partnership with Levine Children’s Hospital in Charlotte, NC. Eastwood Homes formed a philanthropic partnership with Carolinas HealthCare System and Levine Children’s Hospital in January 2008, reinforcing its long-standing commitment to growth in the Carolinas. There are two primary components to the partnership. A portion of the proceeds from each and every Charlotte-area sale is donated to the hospital. When an employee of the Carolinas HealthCare System purchases an Eastwood Home, an additional $500 donation is made in their honor as well. The second major component of the partnership is the Eastwood Homes Hospitality Cart, which was introduced to Levine in the fall of 2008. The cart circulates the 8 floors and family waiting areas of Levine Children’s Hospital and provides healthy snacks, reading materials, gifts, and toiletries at no charge to the children or families of the children that are staying in the hospital. In 2013, Eastwood Homes hosted their first Charity Golf Outing, further strengthening their commitment to the Levine Children's Hospital. Following this event, Eastwood has made a tradition to host a golf tournament annually. The company coordinated their 5th tournament on September 25, 2017 and raised a record of $75,000. During these very successful golf outings, not only did the company raise more than $200,000 for the Seacrest Studios, an in-house multimedia broadcast center at Levine, but everyone had a great time supporting a worthy cause! Seacrest Studios is a 652 square foot studio with a full-time program director and hosts game shows, celebrity interviews, and performances for all the patients to enjoy! Children at Levine can stop by the studio, or watch from their room, and request songs or ask questions to celebrity guests. Since the opening of the studio, patients have been entertained with interviews with Selena Gomez, Imagine Dragons, Rachel Platten, Michael Buble, and Carolina Panthers quarterback, Cam Newton! During check presentations, Eastwood employees have joined the fun in the studios. In their most recent visit, the team was tested on their knowledge of home designs and were asked to identify architectural styles by looking at a photo. Afterwards to show their holiday spirit, the team listened to Christmas songs and were asked to finished the lyrics, by singing on air! Even though they were not prepared to sing, the Eastwood team was happy to spend the afternoon entertaining the children at Levine. 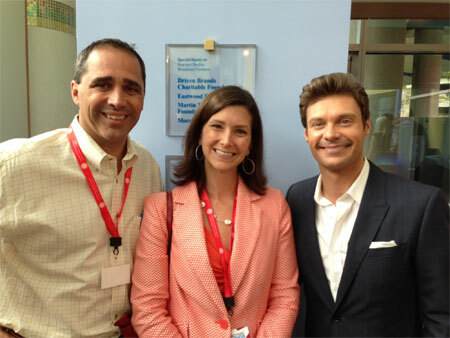 Eastwood Homes is proud to support the Seacrest Studios and hope to continue to do so and bring happiness to all the patients at Levine Children's Hospital! Eastwood Homes knows that we are fortunate to have such an amazing facility right here in the Carolinas. We are proud to support such a worthy organization! The Levine Children’s Hospital celebrated its grand opening in 2007 and now leads the region by offering more than 30 specialized pediatric services including kidney, liver, and heart transplants, bone and marrow transplants, cardiac and cancer care, neurosurgery, on-site rehabilitation, and the highest designated level of neonatal intensive care. Their goal is to drive the future of children’s healthcare through further teaching and research, and make a child’s stay in the hospital a better, more dynamic experience which promotes healing. A Family-Centered facility, the staff of Levine strives to create an environment in which family members and professionals work together to meet a child’s health care needs. 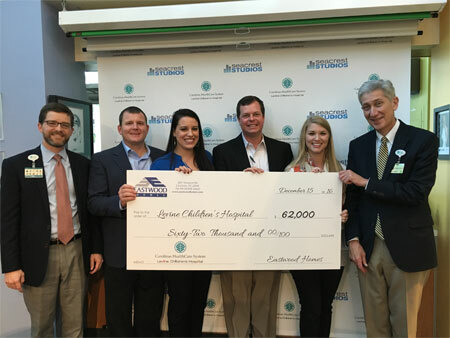 With the help of our sponsors, Eastwood Homes donated $85,000 to the Levine Children's Hospital in 2019. Take a moment to see what BUILT WITH CARE means to us, and our customers. In the competitive world of homebuilding, reaching the 40th Anniversary is no easy task! Recently, on a blustery day in Charlotte, NC we sat down with our founders, let the cameras roll and listened to them talk - in their own words about the humble beginnings of Eastwood Homes and where the company is headed in the future. For a number of years, our founder, Joe Stewart was working as a young schoolteacher in Gaston County, NC when he decided to try homebuilding. The company started on a small scale, beginning with 4 homes. Today, we’ve built over 16,000 homes for our customers. Now, Joe and his son, Clark Stewart work shoulder to shoulder to carry on the legacy of Eastwood Homes. 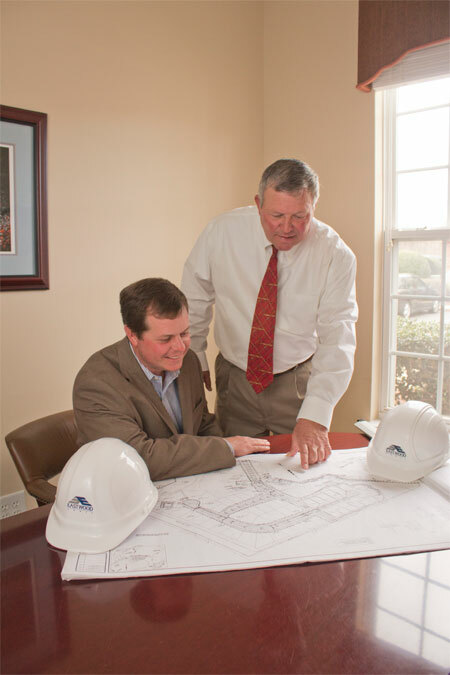 From the very beginning, Joe was very careful to instill a sense of responsibility and caring into the company culture - core values that continue to guide us as Eastwood Homes has grown and expanded into more markets in North Carolina, South Carolina, and Virginia. We invite you to watch our videos to gain a sneak peek into our history here at Eastwood. It's been a fun forty years since 1977, and we are excited about the possibilities that lie ahead in the next 40!